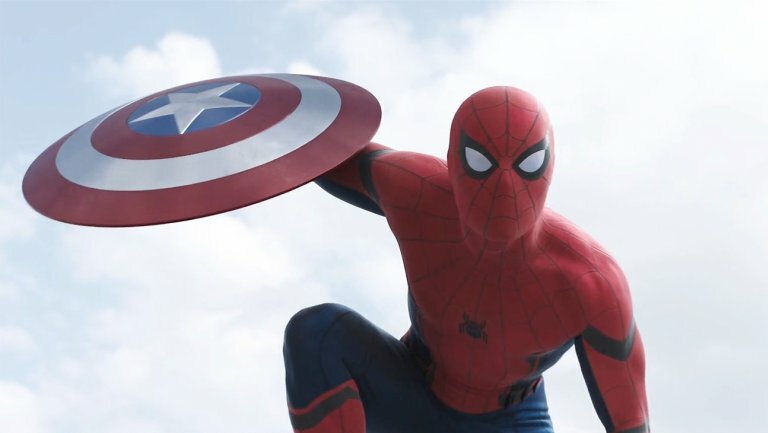 Spider-Man In The Civil War Trailer: Is There Hope For A Faithful Wall-Crawler Adaption? By now, all us fanboys have experienced the giggle inducing cameo that was Spider-Man in the Civil War trailer (and if you haven’t you really picked the wrong blog to read). And despite several nit-picky comments concerning his costume (too shiny! too traditional! what’s up with those armbands?) the one emotion Spider-Man’s appearance does evoke is hope. Hope that the Marvel Universe will one day merge completely. That we’ll see Wolverine pop his claws against the Hulk whose busy getting clobbered by the Thing. That Johnny Storm and Peter Parker and Kitty Pryde will all be attending the same high school eventually. But most of all, it elicits hope that a true Spider-Man adaption will come to fruition. Sure, we’ve had Spider-Man and Spider-Man 2 from Sam Raimi, which right now are the best big screen experiences the Wall-Crawler has seen to date (with me counting Spider-Man 2 as my personal fav). But were they perfect? Far from it. Marc Webb’s reboot attempt? Not even close, but again, even those had elements Spidey fans should be proud of. No, the one true Spider-Man adaption may be coming in the form of newcomer Tom Holland. And it’s all thanks to a monumental deal that merged the Sonyverse with the Marvelverse. So what better way to break down that deal than with Transmedia guru Jeff Gomez of Starlight Runner Entertainment? He’ll chat Spider-Man in the Civil War trailer and talk about the concept of shared universes in TV and film in use today. With Spider-Man appearing in the new Captain America film, Superman v Batman coming up, Johnny Depp signing on as the Invisible Man, Netflix prepping Luke Cage, Flash crossing over to Supergirl, but Agent Carter failing, the world has gone Transmedia. But BIG MISTAKES are being made! What are the criteria for a successful shared universe? Why are some studios excelling but others falling flat? Catch Secrets of the Sire exclusively on TalkingAlternative.com this Friday at 11am ET. Plus, we announce the winner of the Spider-Man Film Franchise bracket in our March Madness Franchise Final Four. Haven’t voted yet? No problem! Do it below! Decide which Spider-Man movie advances to the next round in our #comicbookmovie Franchise Final Four Bracket! And catch up on previous shows like our breakdown of Christopher Nolan and Tim Burton last episode! Simply click here to download our podcast on iTunes! And if you STILL haven’t seen the trailer, we here at Secrets of the Sire have been kind enough to embed that sucker below – enjoy!